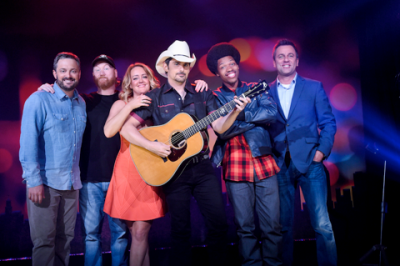 Nashville, TN (June 23, 2017) – Country music superstar Brad Paisley announced today, via his socials, that his Netflix one-hour comedy special, Brad Paisley’s Comedy Rodeo, will debut on August 15. The hilarious show includes special guests and fellow comedians Nate Bargatze, John Heffron, Jon Reep, Sarah Tiana and Mike E. Winfield. Actor David Hasselhoff and multi-talented Reba McEntire make special appearances. The show was filmed earlier this year when Paisley hosted two comedy shows at Zanies Comedy Club in Nashville as part of the Wild West Comedy Festival. Country Music News Blog participates in advertising programs that help fund the operation of this site. For more information please visit our privacy statement. This entry was posted in Brad Paisley, Press Releases, Television by Shauna "WhiskeyChick" Castorena. Bookmark the permalink.